There is a red vase on my sofa table with an arrangement of silk fall flowers from a bouquet I caught at a wedding a few years ago. It stays there year round as a reminder that fall is coming. It’s my favorite of all of the seasons. So many of my favorite things happen during autumn. I love cooler weather where I can wear cardigans and boots and scarves and sip coffee and walk through crunchy leaves and watch football. It’s my absolute favorite time of year! There is an app that I use called “Time Hop” which gives you a report each day of the posts you’ve made on social media on that day over the years. It is a really neat tool because you’re often reminded not only of good/fun times that bring a smile to your face but it also reminds you of valleys that God has brought you through. Oct. 3 of 2010 is one I’ll never forget. The anniversary is quickly approaching and it is always one of my most difficult days of the year. It was the day that my mom’s physical body was laid to rest and her spirit joined our Heavenly Father in Glory. Grief comes in waves and while the pain grows easier as time passes, that’s only until another wave comes crashing in. As you allow God to heal your heart and heal those wounds, you learn how to prepare for the storm but the tides crash and often times you just have to ride it out. I’ll never forget the first anniversary of my mom’s passing. I wanted to be proactive about the day. I wanted to be prepared for how hard it would be. I wanted to do something special. I wanted to do something that I would always remember. As I mentioned in a post previously, stones of remembrance have is a biblical image that I hold dear in my heart as I journey through this life. And so that’s what I did. I left town and stayed at a friend’s apartment. She wasn’t in town but she left me a key so that I could spend some time there alone. I had went to lowe’s the night before and had found a stone block. 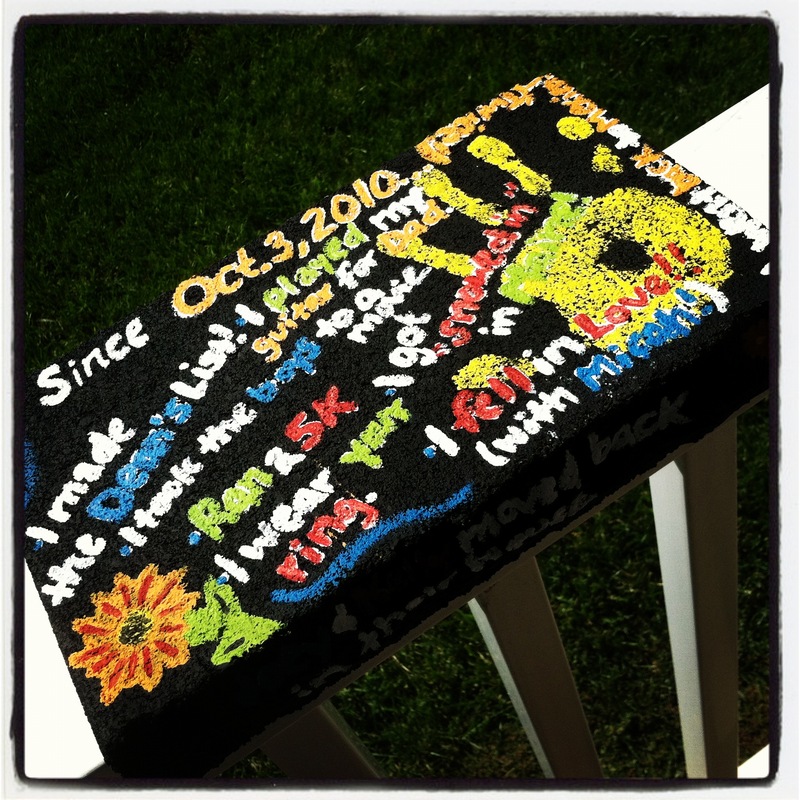 I brought paint and paint brushes and I let it all out there on that stone. I painted on that stone everything that I could remember from the last year that I had wanted to call and tell my mom about my life and the lives of the people that were most important to me. I wrote little things like taking my nephews to the movies and to the zoo. I wrote that I had been back to Maine twice and had even gotten snowed in during my winter visit. I wrote that I had fallen in love with M, my best friend and the one she always rooted for. That was/is the hardest part about my mom’s absence is all the things I want to call and tell her and this was the best way for me to release the pain I’d been feeling that first year and to physically have a stone of remembrance for that first year without her here with us. And when I made it back to Bells, I laid that stone at her grave. In 32 days, I will be standing at the farm looking around at each tiny detail that we have planned. It will be the happiest day of my life and yet it has the potential to be a sorrowful one as well. It will be sad that my parents are not there. It will be sad that they didn’t get to see me in my dress or be a part of our day. But that’s the beauty of redemption. God gave me a wonderful mother, father, grandmothers, grandfather, aunts and uncle that were so very instrumental in making me who I am today. I don’t have to be consumed with their deaths because my living is putting feet to the work they did in me for years. I can happily walk down that aisle as my brother gives me away to the man that God created specifically for me. I can vow to love and cherish Him for the rest of my days. God used them in their time on earth, and even after their passing, to mold me into M’s bride. This is something to celebrate! And that doesn’t end with my wedding day. It’s such a beautiful beginning to a new journey in life! The love they instilled in me is thriving in the love I have for others. My advocacy and passion for those struggling with substance abuse and depression is the redemptive work given to me from the Father through my parent’s fight with alcoholism and depression. Seeing beauty in the mundane is Maw’s spirit still teaching me of God’s handiwork in and around us. Finding humor in the craziness of the world and the creatures who are in it – that’s Nana’s laughter echoing in my heart! So much of who I am is because of the legacy they have left with me and that is something to cherish and celebrate! This is redemption’s song! 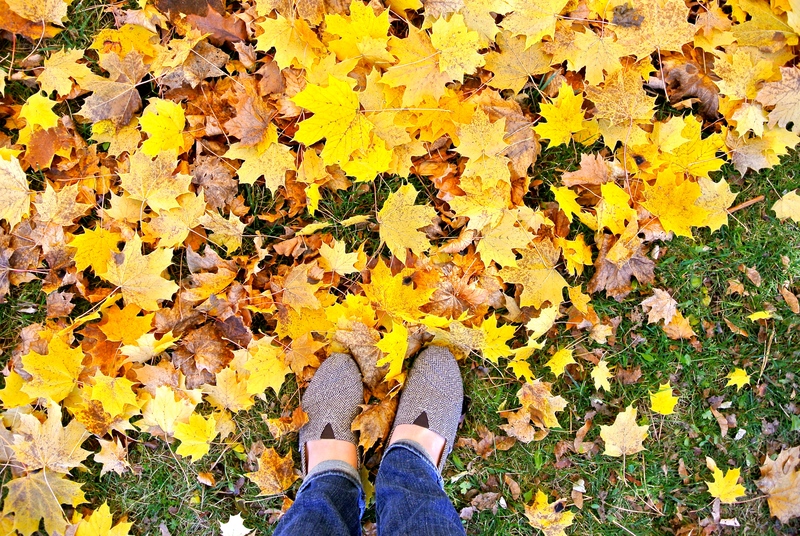 The fall is here again and it’s a time to be joyful. It’s a time to sip coffee and snuggle up in quilts. It’s time to get up early and go to flea markets and yard sales! It brings a feeling of refreshment. Enjoy it! Breathe it in! It’s only here for a little while. As I read through the words I’ve typed tonight, I realize that these words are so much more for my own heart rather than any one else’s but thank you anyway for going along this ride with me.